I left La Paz one evening on a 7 day cross country trip that would take me to an old colonial town called Sucre. (The word colonial always makes me so angry - clearly I have not yet forgiven Colonizers for what they did to us "The colonized.") 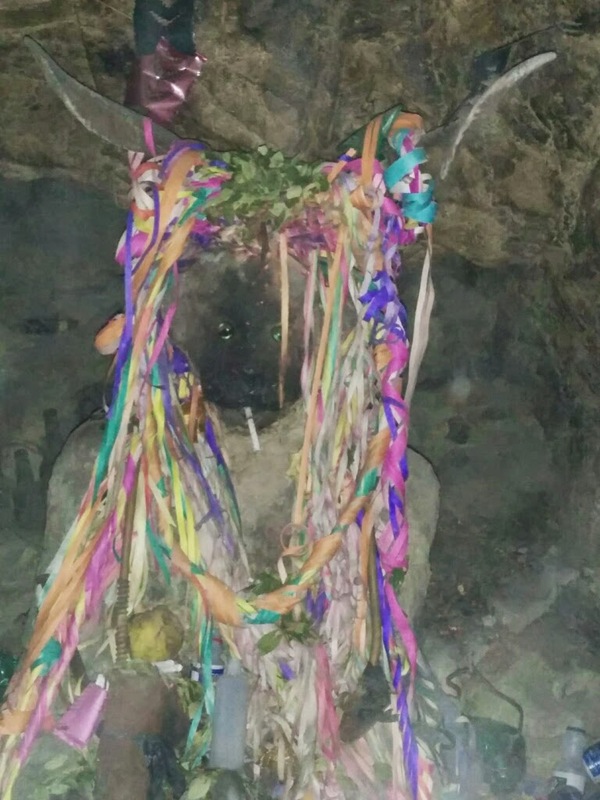 I took a Trans El Dorado night bus to Sucre. I made a Dutch friend at the terminal and she was the one who was kind enough to wake me up in the morning when we got to Sucre. I completely passed out. The bus had a fully reclining chair and that combined with the rocking motion of the bus put me to sleep. I sleep much better on planes, buses, ferries, boats, cars, trains etc than I actually do on my bed. I get some form of " performance anxiety" when I try to sleep in bed - the task that lays ahead weighs on me. I begin to think "Now, I am sure I will have insomnia," and that is exactly what happens. While in motion, there are no such expectations and therefore I sleep like a baby. I stayed at a hostel called Cruz de Popayan and I began to realize that when hostels in Bolivia said they had wifi, they actually meant that there was a corner in the reception where you could get a (pretty crappy) connection. I had to cast aside all dreams of sitting on my bed, staring out of the window and blogging. I had only one day to spend in Sucre and I immediately went exploring. As soon as I got to the city center, I bumped into my Dutch friend. I was so happy to meet someone I knew. She was traveling alone too and we decided to spend the day together. We went to a cute little French place and had lunch. After that we walked for ages to get to the city viewing point. The main part of the city center was quite full and that's when I realized that Sucre was a big deal. It used to the capital of Bolivia long before La Paz. At the viewing point we had an amazing view of the city. It started to rain and we went to a bar close to the viewing point. We ordered Lipinas (Quinoa beer.) That was quite refreshing. I traded backpacking stories with my Dutch friend and realized I was a fake backpacker. Her 21kg backpack had a tent, cooking utensils etc. My 18 kg backpack mostly had clothes. She had been hiking up mountains with her backpack, pitching up her tent, cooking for herself etc. That is a very intense type of backpacking that I do not think I will attempt any time soon. I do enjoy little pleasures such as a roof over my head, a bed to sleep on, hot water when showering etc. I don't actively seek out unnecessary hardships in life as I think I had my fair share of that in boarding school. Adventures lay ahead starting with The Mountain that eats Men. One of the towns I visited during my cross-country tour of Bolivia was Potosi. 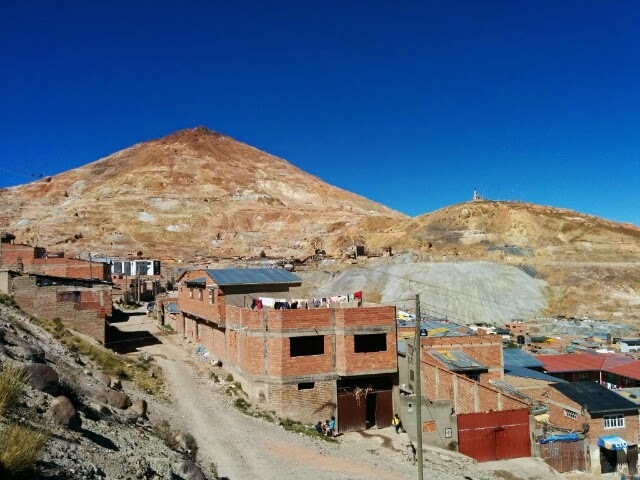 Potosi is a mining town (originally was mostly silver, but now is primarily zinc and tin.) 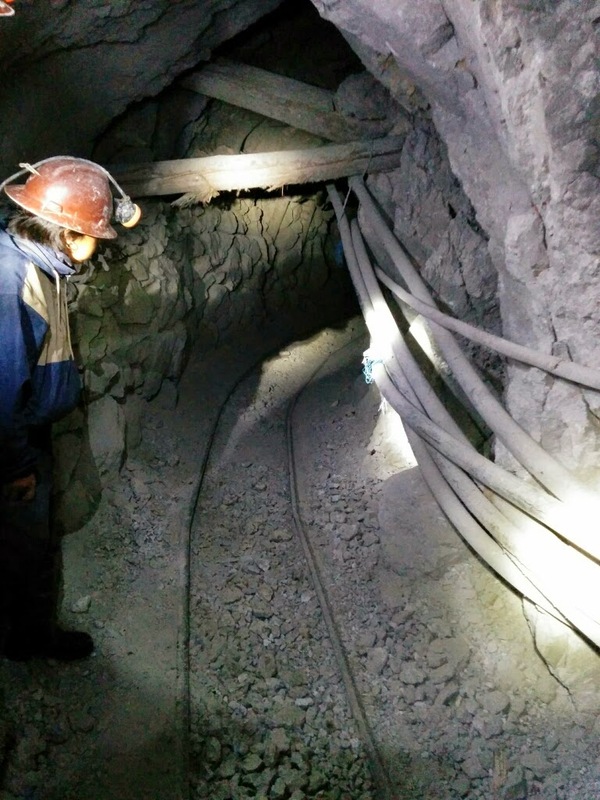 I looked at my itinerary and it read "Tour of Silver Mines in Potosi." A smarter traveller would have read up on this expedition in order to know what to expect, but clearly I didn't - until I had already gone to the torturous mines. Some brief history of the mines. It all started in 1545, when an Indian shepherd, who was spending the night at the mountain, started a fire and saw pure silver where he was. For centuries, the mountain enriched the Spanish monarchy. For close to 200 years, over 40,000 MT of pure silver were taken from the mountain, of which close to a quarter directly went to the Spanish monarchy. 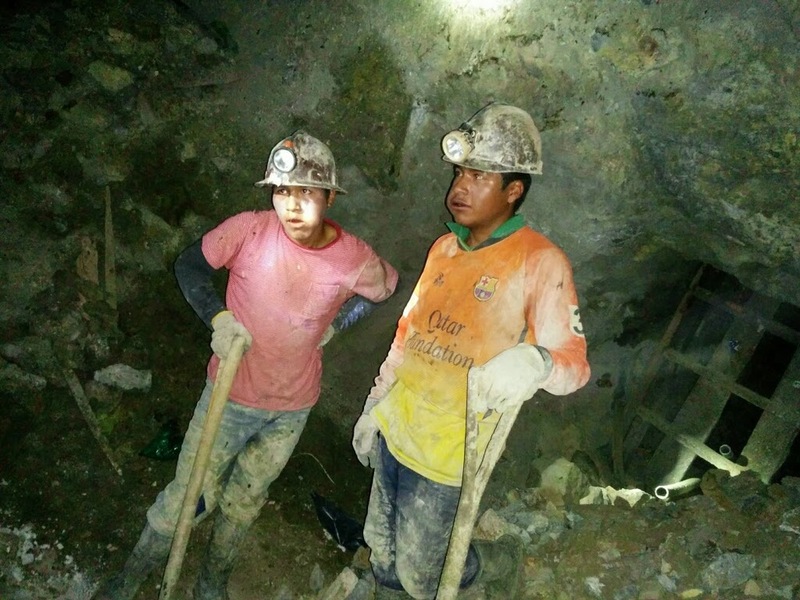 Native laborers were used to work on its mines through the traditional Incan system of mandatory public service but the Spanish manipulated this system to essentially use forced-labour. Many of the miners died due to the harsh working conditions in the mines. It is estimated that over the next three centuries, over 33 million Indians worked in the mines and close to 10 million of them died as a direct result of the work. To compensate for the diminishing labor force, the Spaniards started importing 2000 African slaves per year. An estimated 30,000 African slaves were taken to Potosi during the colonial era. African slaves were also forced to work as human mules. Four mules were replaced with twenty African slaves. Given the high number of deaths that took place in the mines each year, the miners named it "The mountain that eats men." 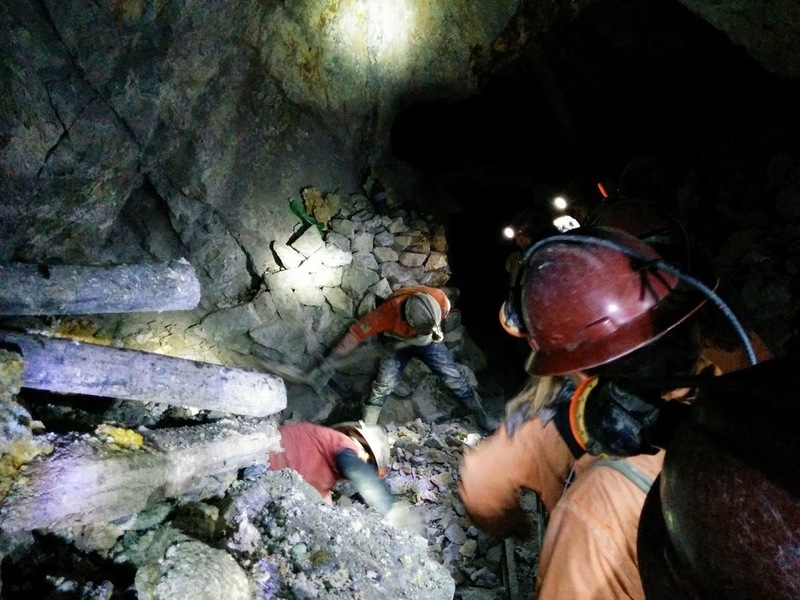 Centuries later, working conditions in the mines are still not much better than they were before. 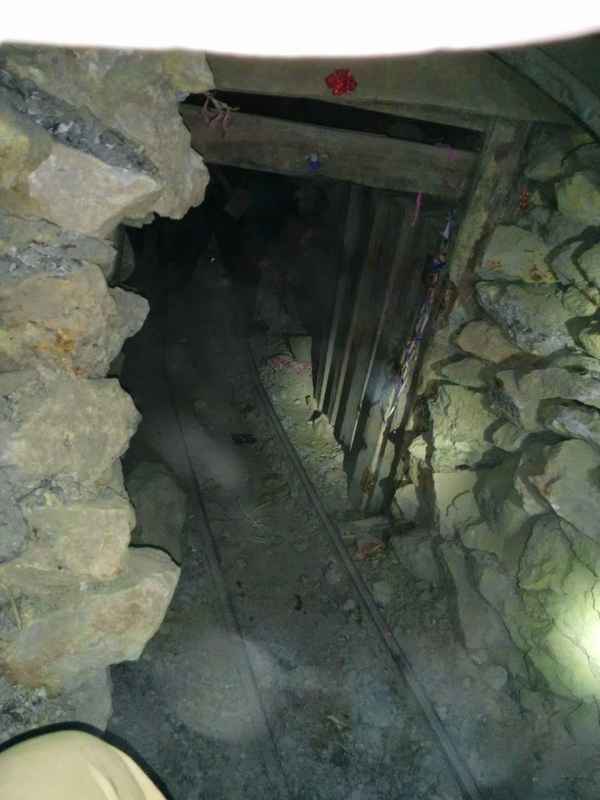 The mines have no lighting, no safety regulations or inspectors, no modern rail cars and no pumped-in oxygen, leaving miners to inhale a fine deadly dust. The average life expectancy of the miners is 40 years with most of them succumbing to lung conditions. 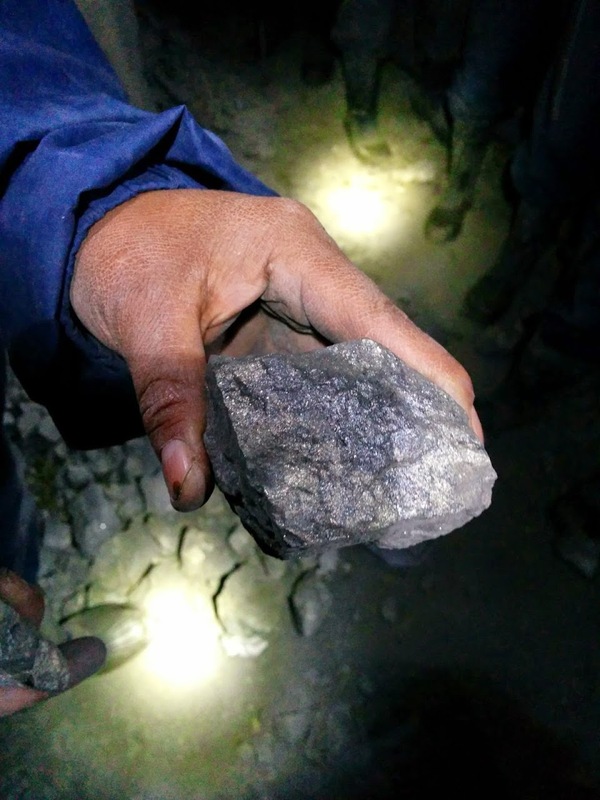 The mountain itself is also at the risk of collapse given how much has been mined from it and given the fact that the mining is unregulated resulting in shafts throughout the mountain. 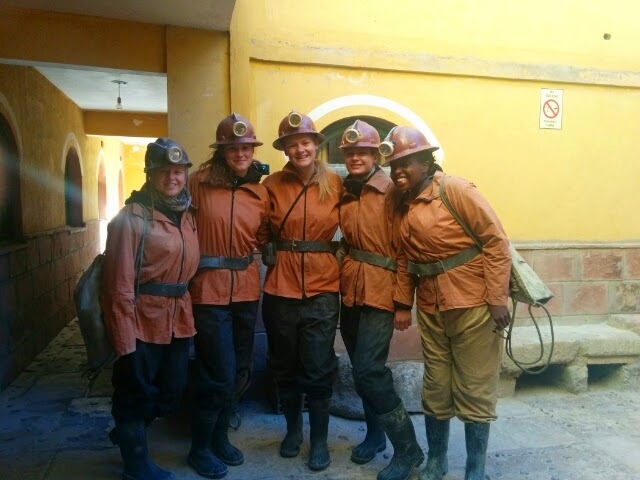 So we were to leave the hostel at 7am for the mine tour. The lady who was to give us the tour arrived around 7:15am and took us to a room with lots of dusty clothes, boots, headlamps etc for us to wear/carry. I later realized that our guide was the widow of a miner who had died in the mines a few years back, and she had to take on this risky job to feed her two children. We hopped into a van and left for the mountain. She said that we would stop by some shops and buy gifts for the miners (alcohol and coca leaves.) I was a bit surprised about the choice of gifts, but just went with the flow. The alcohol was quite scary looking - no brand, no label, no nothing. It looked like something you would use to sterilize surgical instruments, pour on a snake bite or something along those lines. Coca leaves are legal in Bolivia. It's the only country in the world where the sale and consumption of coca leaves is legal. It is even protected under some UN regulation because of its "cultural significance to the indeginous population." We got to the mountain around 9am, and the van left us at a point 4300M (~14,000 feet) above sea level. This would be the point we would enter the mountain from. I started feeling a bit nervous when we got out of the van and I realized just how cold it was and also how thin the air was. It was not easy to breathe. 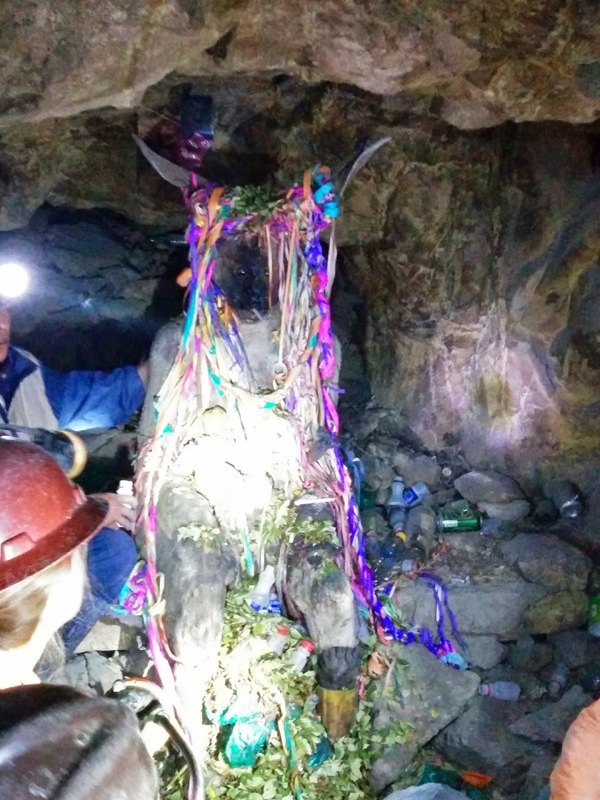 The next 3 hours in the mines were what I would describe as some form of outer body experience. 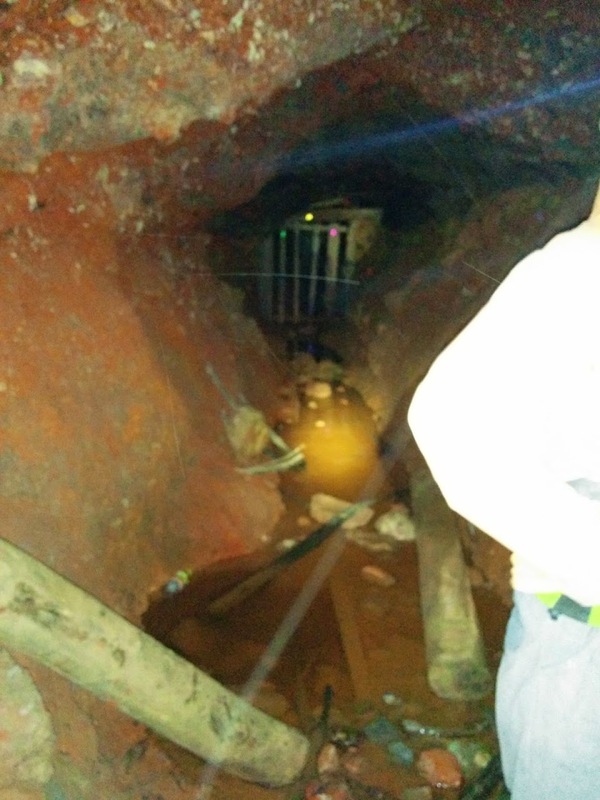 We got into the mines and I realized that I would have to stoop most of the time and in some parts crawl. I was not the tallest in our group. There were four really tall Dutch girls. I felt bad for them. It was dark, it was damp, there was very little air. There were points when everyone was coughing or gasping for air. I was encouraged to chew some of the coca leaves we had brought as gifts for the miners. I think that's the only reason I didn't pass out. Coca leaves help with altitude issues. 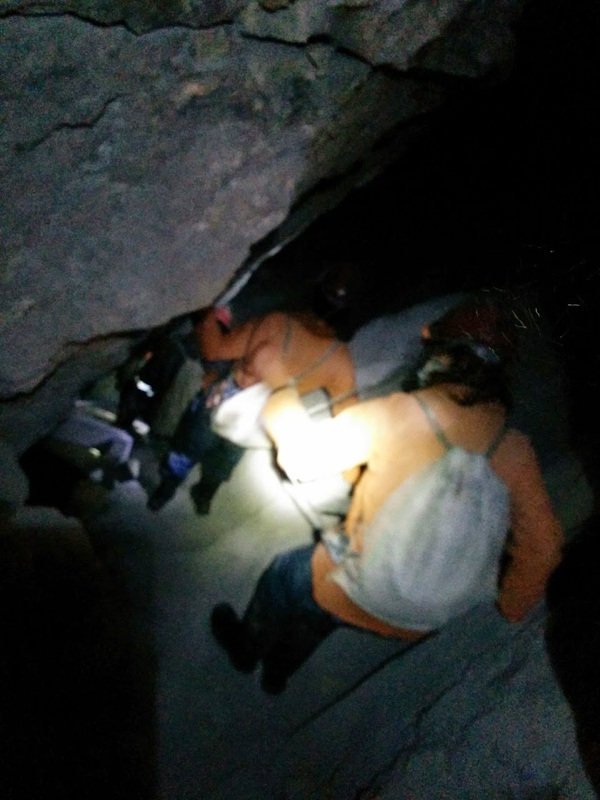 Most of the tunnels were so low that you had to go in hunched over and there were a few points you had to crawl. We blew up some dynamite in the caves and I can still feel the BOOM in my heart. Terrifying. I started having crazy thoughts. I can't tell if it was because of the coca leaves, the altitude or both. I started thinking about the Chilean miners. I started getting scared I would lose the group and forever be lost in the mountain/die in the mountain. I left the mines with such deep respect for miners who have such a terrible job, risking their lives daily to feed their families. It is sad to know that many the world over have to pick between life and your next meal. After this I went out for lunch with some of my fellow comrades (from the tour.) We all bonded over just how terrifying that was. I remember being so happy when I saw sunlight as we approached the exit of the mine. For a while there, I was really beginning to believe we would not get out. We went to the local market and had lots and lots of food for less than USD 2/person. After that I went with a few people to have a drink in the park and almost missed my night bus to Uyuni. I remember having to run around like a mad woman with my huge backpack looking for a taxi when the one the hostel had called decided not to show up. I made it to my bus just in time. It was such a local bus - lots of hawkers ON the bus, people playing loud music from their own little radios and lots of noise.